One of the new features we’re most excited about is the new Maintenance Requests. They have a totally new look and much more functionality. 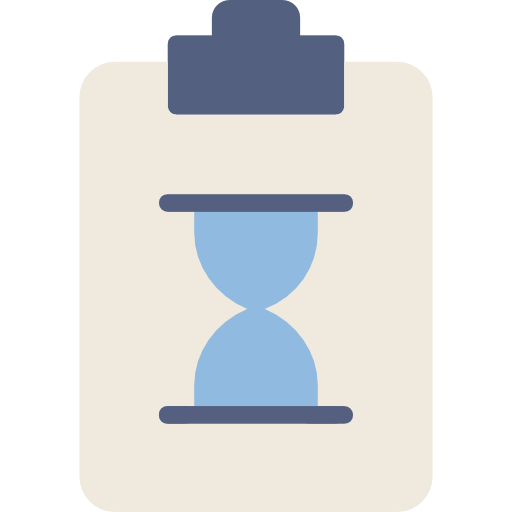 The whole process of creating a work order is now simpler and can be done in four easy steps. First, choose a category. There are 7 of them: Plumbing, Appliances, Household, Outside, Electrical, Exterior house and Other. Note, you’re not able to add categories manually but we’ve tried to include all we can. If there are others we need to add in please let us know as we’ll also be watching the “other” category. After choosing a category, choose a sub-category, issue, and sub-issue. 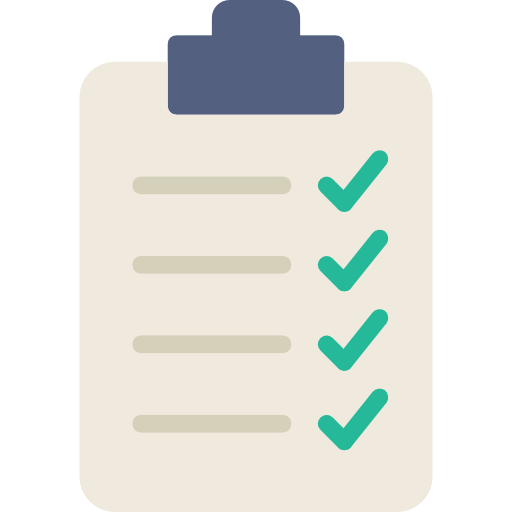 We believe this process will save you and your tenant’s time as you won’t have to type manually all the details, and the information can be passed on to your service pros quicker. 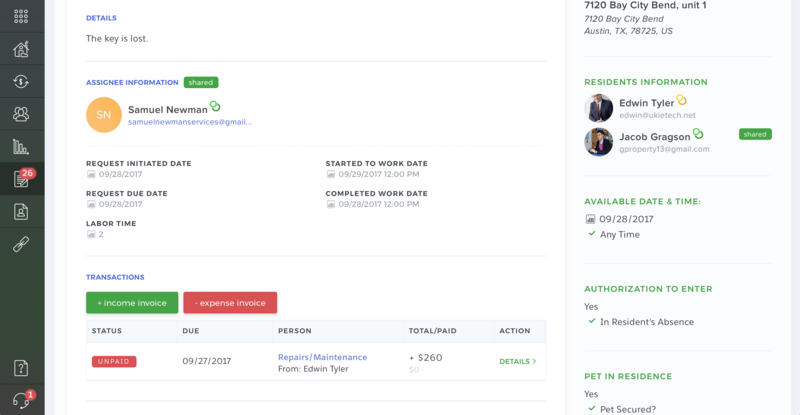 Also, when creating a maintenance request, you can attach a photo, add materials, link an appliance, add day/time started to work, date/time completed work, labor hours, due date and date initiated. Invoicing. 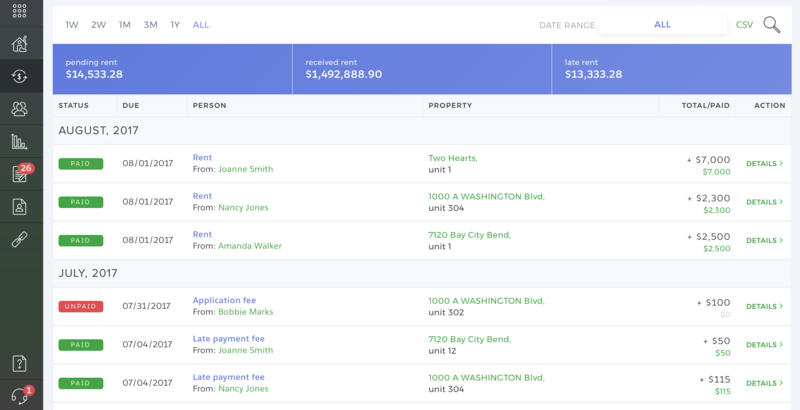 Landlords can create invoices linked to the maintenance request number, and all the transactions related to the maintenance request will be shown on its preview page. The request can be shared with multiple tenants on the lease or unit. Messaging. Now you can message with tenant and service pros right within the maintenance request, so you can keep a conversation on topic and everyone can stay in the loop as progress is being completed. 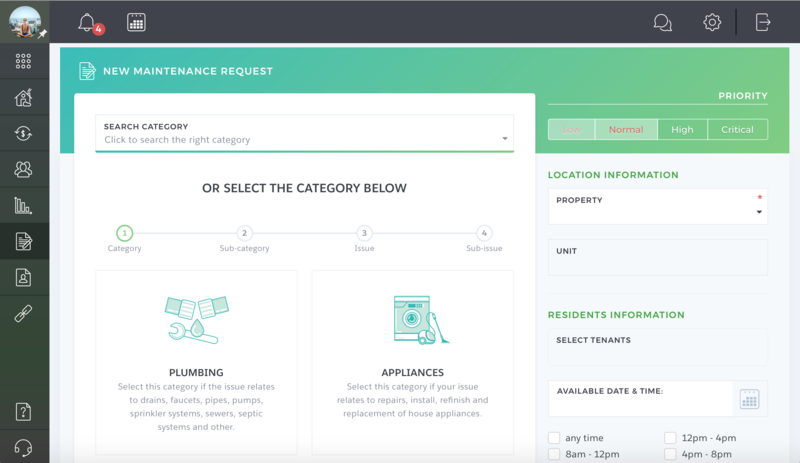 Landlords, tenants and service pros can communicate within one maintenance request. We’ve added several improvements to your Accounting page. To help organize transactions the general accounting page is now separated by month, and transactions are sorted by open, partial, paid and void. Landlords can now return the deposit online. If you tenant pays online then they can also receive their deposit directly to the account. If they have set up these options then the Pay Online button will appear automatically when viewing their deposit. Partial payments have also been improved. In a combined invoice, when a tenant pays a part of it, the landlord can manually add the payment and the online payment will still be pending (till the whole sum is paid). In the Calendar, all the reminders and notifications are displayed on the right. If there are no events for the current date, the list of future reminders will be shown. 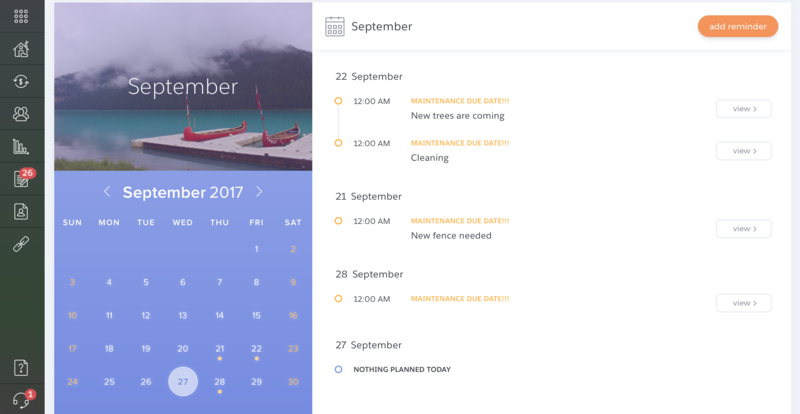 Plus landlords can edit reminders right in their Calendar and add new reminders to their tenants’ calendar and timeline. 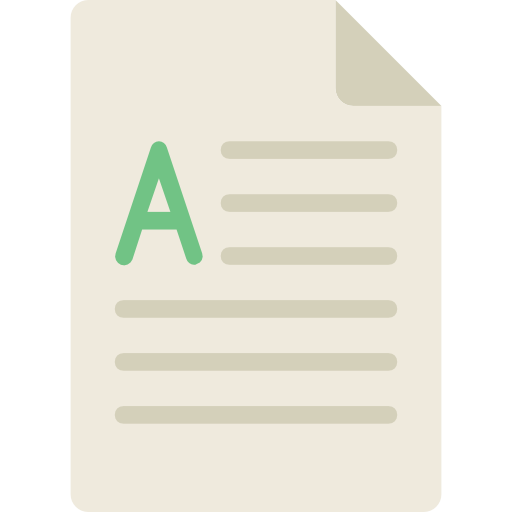 Landlords can print and download any notice to the tenant with an active lease. Landlords can invite applicants to apply to the listed rental on the Rental Application page. Applicants can add emergency contacts right in the Rental Application. Timeline button and Edit Tenant Profile button are visible on every tab (leases, accounting, etc). New option “Pay annually” is available for landlords to pay for the TenantCloud payment plans. 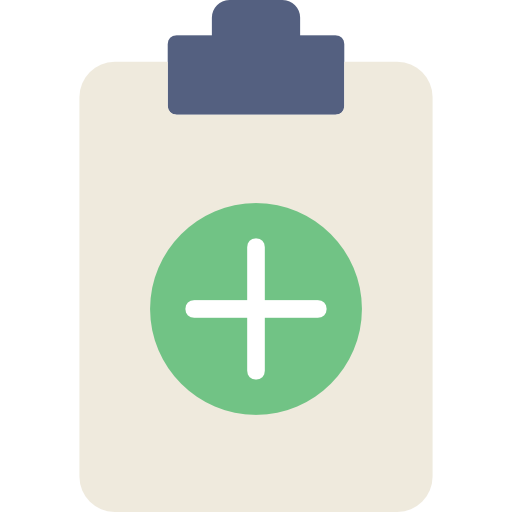 Paying annually allows saving money worth 2 months of using the paid plan. As always, we look forward to hearing what you think. Stay tuned for more updates coming soon! Have a suggestion? Contact support@tenantcloud.com as we want to make sure our product meets your needs.